friends, gigs, Irish music and cheap wine! For those of you who are new to listening to celtic-punk it may come as a suprise that one of the best scene’s in the world for celtic-punk is in Indonesia. 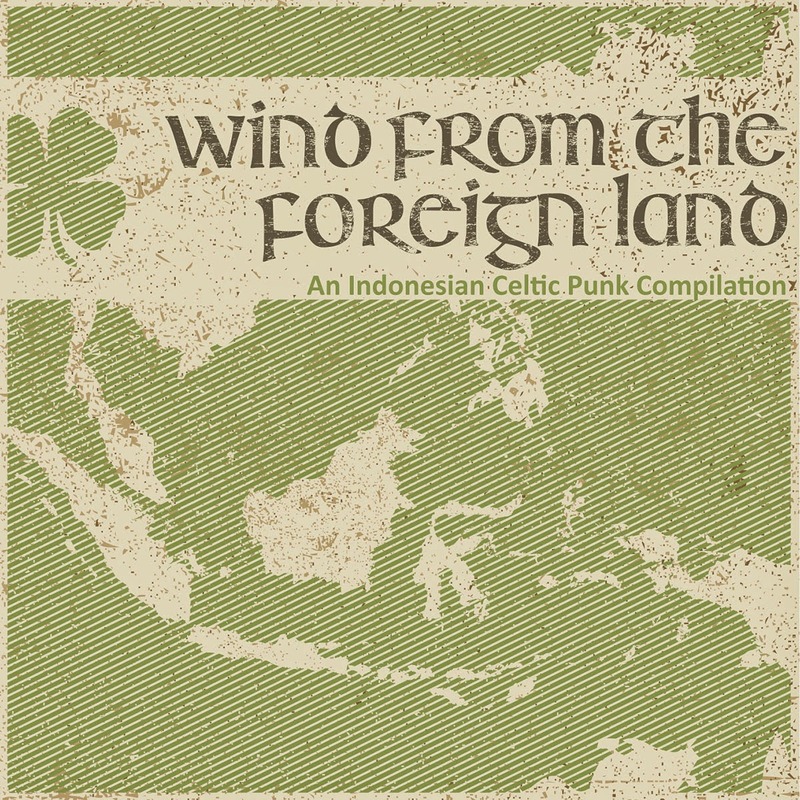 A whole bunch of bands (far far too numerous to go into in this review so after you read this go straight to our review last year of the Indonesian celtic-punk album ‘Wind From The Foreign Land’ here) that live and breath celtic-punk and play among the worlds most authentic sounding celtic music. Superb musicians and tight as feck songs and great production is what they all have in common and unfair as it is to pick out a few stand out bands from such an amazing scene then I would have to put Dirty Glass into that select group. The band hail from Yogyakarta city the capital of the Java region which is known as a centre of education and culture within Indonesia. The EP lasts a few seconds under twenty minutes this is full on energetic Irish influenced celtic-punk with all your usual instruments but put together and gelling perfectly. Acoustic and electric guitars can be heard side by side and if you’re able to pigeonhole these bhoys then good luck to you. There is a certain recognisable Indonesian celtic-punk sound but I’m buggered if I can put my finger on exactly what it is. You’ll just have to listen to them and see if you can figure out what it is. The EP kicks off with ‘Good Mornin Eli’ and goes straight into a fiddle led punky number. Joined by tin-whistle and accordion the song bursts with energy and that energy stays up right until the end of the EP. Next track ‘Ballad Of Lonely And Whiskey’ starts off giving the impression of being a slow number before again kicking right off. A catchy as hell song with a great chorus. A standout track on a standout CD. Joined by Little Ayash on ‘1000 Miles’ her beautiful voice accompanies the band perfectly on this lovely track. Tin whistle dominates inbetween the acoustic guitar with Dirty Glass taking a softer approach but still sounding as celtic-punk as feck! The EP’s title track ‘Drunken Summer Night’ does have a Dropkicks influence but the fiddle then takes it into Mollys territory before Dirty Glass stamp their authority on it and I’m left wondering again who they sound a bit like. Final song ‘Anthem’ ends the EP and you’ll be sad to see it go. The EP has left me wanting an album soon as possible so come on bhoys get writing some songs. ‘Anthem’ has a Poguesy feel to it and a shouty gang chorus. Possibly the most impressive thing for me is that this EP is all original numbers and with all five songs being as good as they are that is some achievement. Not just that but each song has a different sound and different approach. I cant’t recommend this enough. Investigate the Indonesian celtic-punk scene they will appreciate it and you will hear some fantastic music as well. there is a really good Facebook group CELTIC PUNK INDONESIA so go now and join up and sit back and enjoy some great music and the company of great people.